Donald Trump’s war against CNN and its insistence on reporting about the awful things he does finally culminated in a full-on CNN boycott in early February that lasted for several excruciating hours. Since then, he has continued to whine about the news network, frequently referring to it as “fake news,” but there are some news outlets that Trump does like. One is Fox News, of course, which recently inspired Trump to make up a fake terrorist attack in Sweden, but a report from news site Entity (via the New York Times) suggests that he’s also pretty cool TMZ—which makes perfect sense, considering Trump’s obsession with celebrities. 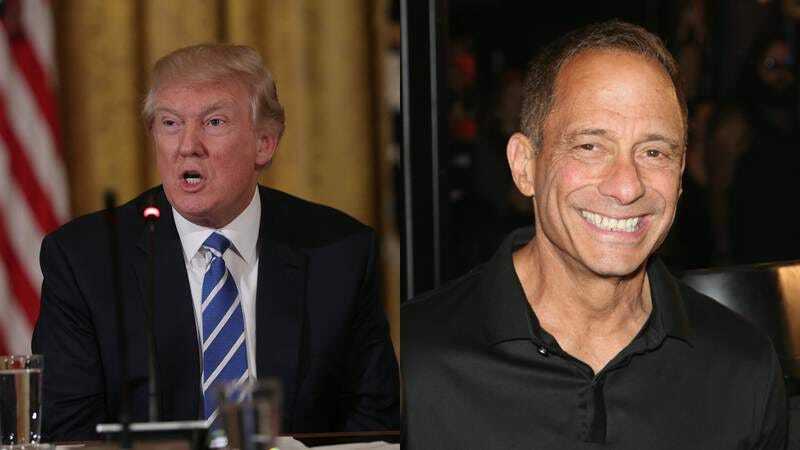 Apparently, Trump held a relatively secret meeting with TMZ founder Harvey Levin in the Oval Office last week that wasn’t included on his public schedule for some reason, and the two spent “about an hour” talking about “future opportunities.” As diehard Trump fans may know (assuming they’re reading this and not complaining on Twitter about how there should be an “International Men’s Day”), Levin previously hosted a Fox News special called Objectified: Donald Trump that aired back in December and featured an hour-long interview with the then-president-elect. According to “two people with direct knowledge” of Levin’s visit with Trump, they discussed the possibility of Trump sitting down for another interview on Fox News’ upcoming Objectified spin-off series, which will “feature interviews with celebrities who describe cherished objects in their lives.” Also, Levin supposedly wanted Trump to use his clout to convince Tom Brady to appear on the show as well, which makes all of this seem like a weirdly sad use of Trump’s time—but at least having Harvey Levin beg for Tom Brady’s phone number isn’t actively racist, so it is a step up from Trump’s usual daily activities.